Greetings, cats and kittens.New-ish member here. 2003 TBlazer, the color is "tan", but looks more like champagne to me. 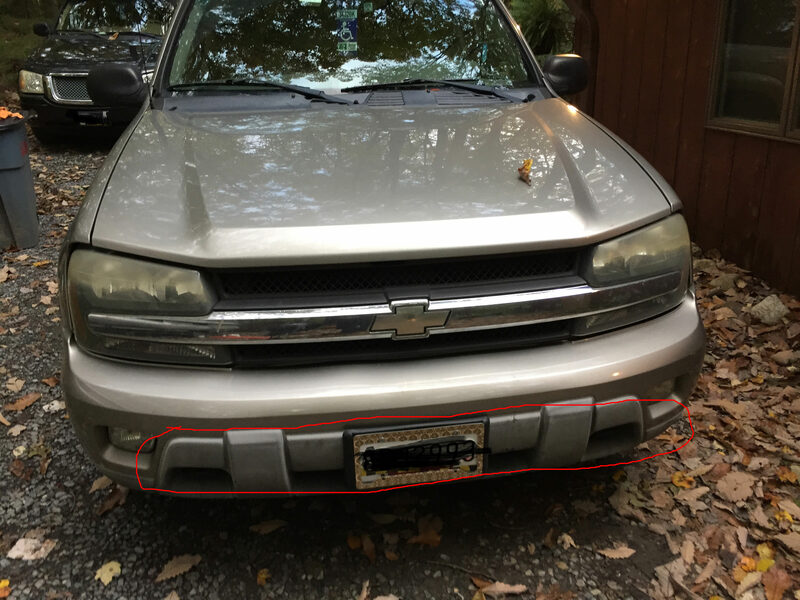 There's plastic trim on the bumpers and it looks faded/weathered. I think the original color of the plastic is a "darker" grey than it is now. Definitely not black. If I can post a pic, I will. Just picked up this truck so I have no idea what it looked like when new. What's the best way to restore this to it's original color? I detailed my Trailblazer at the beginning of fall and have some info to share..... My plastic trim was also faded pretty bad and needed to be treated. While Armor All and similar products make the trim look black again,.. they always quickly wear off often leaving stains where it gets washed off the car from rain, morning dew. In the past I have always used "Bumper/Trim Paint" when re-spraying badly faded plastic trim. The stuff used to spray nice and fine and leave a nice even finish that held up well and lasted pretty good. This year I bought the same stuff to detail my truck and was horrified by the results. I do NOT recommend Duplicolor "TRIM & Bumper" paint. I began by spraying a set of rocker trim pieces with the original formula ( last years cans) it worked great and I bought more ( new ) to do the rest of the truck. When I got it home I sprayed a set of factory mud-flaps and the spray ( new formula ?) came out real thick and 'blotchy' and it looked uneven and crappy with a different shade when dry. I installed a can nozzle from a different spray can ( that sprayed nice and fine ) but the bumper paint still applied 'blotchy' and uneven. I had more then 1 can and they were all the same. Because I had re-finished my factory wheels the week before I decided to try and use the same paint on the trucks trim panels that I did on the wheels. It was Satin Black Duplicolor Wheel Coating. I did the bumper areas, Grill, Wheels, Rocker trim, Mud Flaps, Wiper Cowl ( not installed yet ) and Running Boards using the same Wheel Coating so everything is the same color now. Can't tell you how long it will hold up,.. but it looks SOoooo MUCH better now !